Why did the USA and the UN get involved in Korea? China had fallen to communism in 1953 – fear of growing Red influence in the east. Because the USSR had boycotted the UN – it had an opportunity to act without fear of the veto. Founded on the proud cultures of the Qing dynasty , Korea was ruled by Japan from 1896 after years of war. After Japan was defeated in WW2, Korea gained independence again. However, Soviet forces occupied the North, and US forces the South. 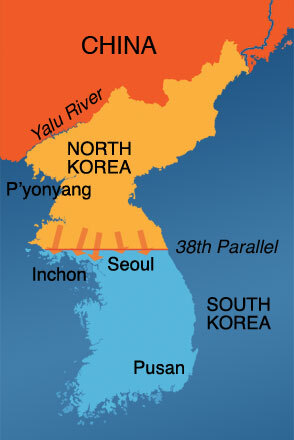 To avoid confict, it was decided at Potsdam that the country would be divided at the 38th parallel. Elections were held in each half of the country; in the North the Communist Kim Il Sung came to power, and in the Souththe nationalist Syngman Rhee. Seeking to unify Korea,, Kim il-Sung received support from Communist China and the USSR and invaded South Korea in June 1950. The South Koreans were pushed right back down to Pusan. 9 out of 11 countries on the Security Council supported the US motion that North Korea was acting illegally. In June 1950, America called on the United Nations to use force to get rid of the North Koreans as they had ignored the Security Council Once again this was passed owing to the USSR's absence. The UN then drew up battle plans. Their forces would be headed by an American - Douglas Macarthur; one of the most famous generals of his time. This went down well with the US public. In September 1950, United Nations troops landed at Inchon. By doing this, they divided the North Korean army in two and pushed them out of South Korea. MacArthur sought a quick end to the war and pushed even further into the North. The Chinese had no option but to defend their buffer zone and so launched an invasion back in January 1951. By throwing men at the situation, the Chinese pushed the UN forces back; their one advantage was their numbers! The Americans, under the UN, landed more troops. They used bombers. The Chinese admitted to losing 390,000 men - UN sources put the figure at up to a million Chinese and half a million North Koreans dead. The Americans drove the Chinese back, but lost 54,000 American soldiers dead doing so. MacArthur reached the 38th parallel in March 1951. After an argument with President Truman, MacArthur was sacked and the war became bogged down; neither side wanted to lose more men. In 1953, a ceasefire was agreed at the 38th parallel ... where it had all begun. 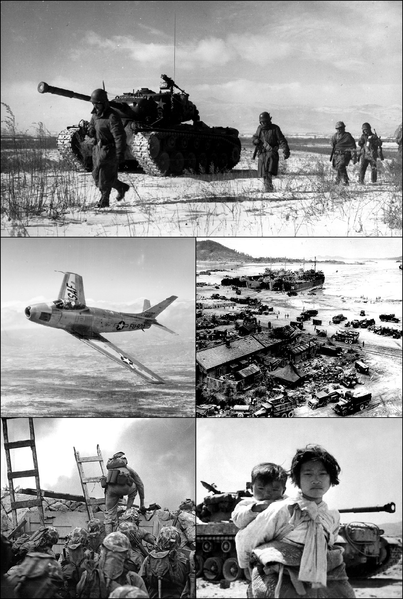 What were the consequencs of the Korean War? Mixed results were had as a result of the war; on the one hand, the UN had avoided becoming what the LON was, by taking quick action against North Korea. The South had, after all, been protected. Nevertheless, it was obvious that this had happened by freak chance; The USSR could easily have blocked it. In fact, the USSR had rejoined the UN in order to block many more resolutions. To solve this issue ‘Uniting For Peace’ was introduced. This was a document that claimed that if the Security Council vetoed any initiative that was considered important for maintaining peace, the General Assembly should take over to and have the vote. The USSR refused to listen to it though. So angry were the Soviet's with the UN's behaviour that they refused to back the Secretary-General (Trygve Lie) who was forced to resign. 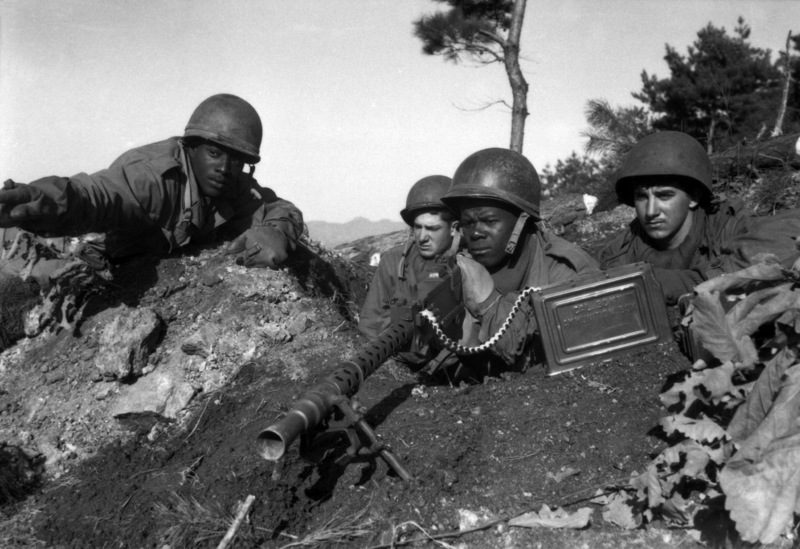 Finally, it was obvious to the world that the United Nations was heavily influenced by America – nearly 90% of all army personnel, 93% of all air power and 86% of all naval power for the Korean War had come from America. How successful was the UN in Korea? Failed to give N.Korea free elections. N.Korea attacked in June, United Nations forces were in by July! Division at 38th parallel was fair. Mutually Assured Destruction (MAD) - the term given to the idea that because the two superpowers had equally powerful weapons, neither would attack the other, for both would be destroyed if they did. 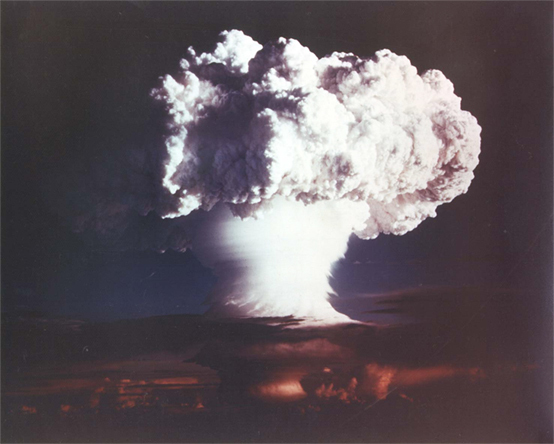 1957 – USSR tests Intercontinental Ballistic Missiles (ICBMs) capable of carrying the H bomb from USSR to USA. 1960 – USA launches first nuclear powered submarine capable of firing a Polaris missile from underwater. Any ‘deserters’ could be shot on site. They were. 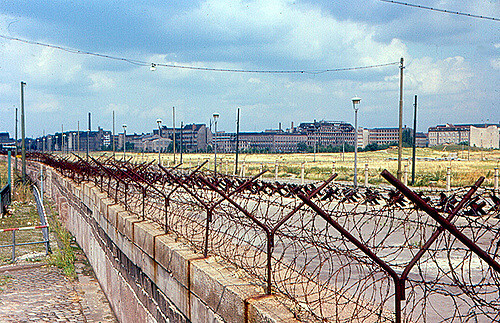 It fell in 1991, over a miscommunication: Berliners were told they could go on holiday… they took this as a sign they could destroy the wall. They took to it with hammers. The first real test of this post-Stalin/Truman era came in Cuba in 1963. The Cuban Missile Crisis - as it came to be known - can be split into different sections, starting before the 60s with the Cuban Revolution. First, it is important to understand that Cuba was Communist. Lying just 90km from the US, Cuba had become Communist under Fidel Castro. Before him, General Fulgencio Batista ruled as a dictator. He was very unpopular but had close relations with the United States, who used Cuba as a playground for their rich and famous. Cheap casinos and big houses for the US, but shortages and hardship for the locals. In 1953, Castro attempted to overthrow Batista by invading the army barracks with a small band of men. He failed. Epic Failure. This was followed by an 18 month jail stint... and then another attempt...and more failure. By 1959 his guerrilla tactics won out and he toppled the government. He - along with Che Gueverra - quickly unhooked Cuba's reliance on the USA by signing a sugar trade agreement with the USSR, which gave him thousands of military supplies too.. He drew up plans to nationalize all of the country, and evicted the rich Americans that lived there. America had a Communist neighbour. Castro killed or captured the exiles within days. Kennedy had been humiliated with the Bay of Pigs incident, but the heat was to be turned up a notch in October 1962 when US U2 spy-planes photographed a shocking secret: Nuclear bases were being built on Cuba. If that wasn't bad enough, Kennedy's advisers claimed they could be ready in 7 days, AND U2 spy-planes saw 20 Soviet ships on their way to Cuba. If nothing was done, Cuba would be going nuclear. Khrushchev's response is to play for time. He tests Kennedy by ignoring the letter and the blockade. Kennedy prepares to ready nuclear war until, at the last moment, Khrushchev turns the ships round. Nevertheless, the sites in Cuba are till being built, whilst Khrushchev sends two letters (Letters 2 and 3), firstly negotiating the missile situation and secondly ordering the removal US bases in Turkey in exchange. After a US spy-plane is shot down over Cuba, Kennedy is left embarressed. He decides to ignore Letter 3 and go with Letter 2. The Turkish missiles remain but Khrushchev complies and the missile sites are removed. Why did the USSR put missiles on Cuba? 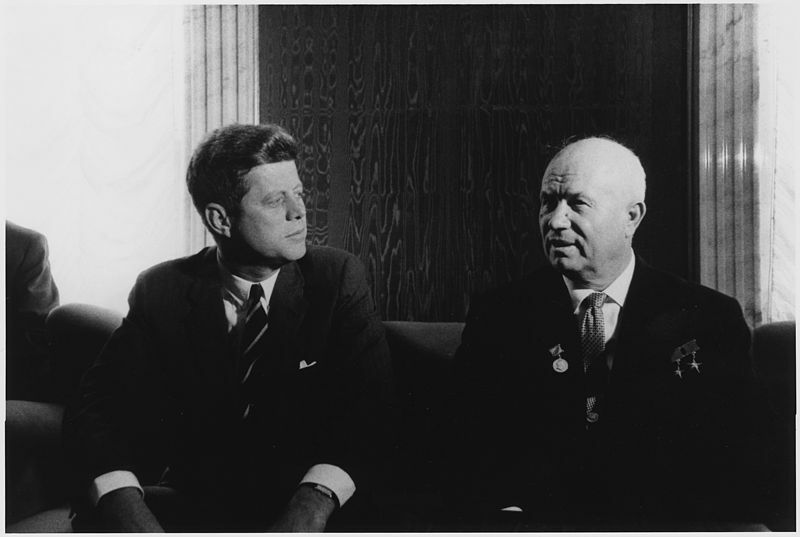 War – Khrushchev may have wanted to draw the US into a direct war as they felt they had the upper hand in the arms race, and needed an excuse to use them. They knew they could not go on much longer spending on armaments like they did. To test the President – Kennedy was new to power (1961) and was young. He had failed at Bay of Pigs. Khrushchev saw a chance to win over hardliners in his own party. 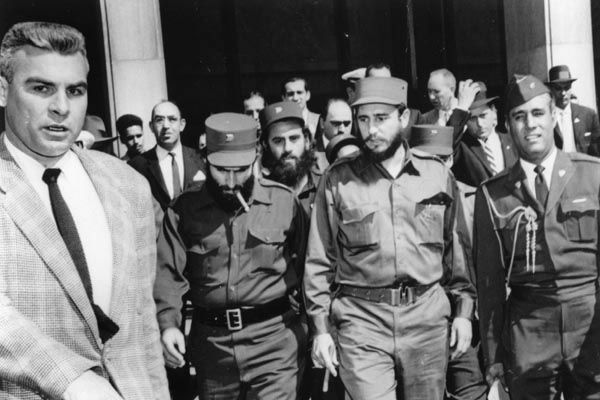 To defend Castro – Communists had to stand up for communists and it was clear that the USA had attacked Cuba in 1961. This was the chance to show solidarity. To achieve arms race superiority – Khrushchev was running out of money and grew concerned about the missile gap between the USSR and the USA. Having arms on Cuba would allow him the first strike and breathing space. The Cuban Missile Crisis had rocked the USA. Meanwhile however, over on the other side of the world, in Vietnam, another epic struggle was taking shape. The spotlight of the Cold War would move to the Far East. Domino Theory: The belief that if one country fell to Communism, others would quickly follow. Containment was needed to therefore ensure Communism did not spread. This belief made the Cold War global but ensured figting did not erupt within already-Communist countries. First came to play under President Eisenhower and the Korean War. Vietnam then suffered colonisation by the French in the 1800s. Although this was not popular, French rule continued until WW2 when Japan swept through the region and took control of Vietnam. The Japanese were even more hated than the French and resistance - led by rebel leader Ho Chi Minh's Viet Minh - helped flush out the Japanese. Nevertheless, the French returned after Germany was defeated, albeit in a weakened state. The French, though, were having huge domestic problems and were not the empire they were before the war. They continued to fight Ho Chi Minh and set up a military branch especially for this, but once China turned Communist (1953) Ho received even more funding. The French were being beaten back and faced their last, humiliating defeat at Dien Bien Phu where Ho Chi Minh triumphed. The Geneva Accords then decided a settlement, where the North (Ho Chi Minh) and South (Ngo Dinh Diem) of Vietnam would be temporarily divided until elections the following year. Fearful of the Domino Theory, the USA (under Eisenhower) started to back Diem and elections never occured. Vietnam was the new Cold War arena. Dien Bien Phu – General Giap led the Vietminh army to victory against the French when he surrounded their forces and bombarded their position. The French were pinned down and unable to get adequate supplies through because the Vietminh had been supplied with anti-aircraft missiles, and moved quickly through the jungle. Such was the embarrassment in France that the government resigned! The Geneva Accords 1954 – this was the promise that there would be free elections in Vietnam once order was restored and the French had left. The country was temporarily divided into 2, with Diem holding the South and Ho Chi Minh the North. The USA began to back Diem and blocked elections. 1963 Assassination of Diem – the puppet of the US, and ruler of S. Vietnam was killed off in a coup organized by the USA. Gulf of Tonkin Incident and Resolution - this was the incident that gave Johnson the excuse he needed to increase troops in Vietnam. US warships were supposedly engaged in combat by N. Vietnamese ships, in S. Vietnamese waters. This was seen as an act of war. Johnson therefore passed the Gulf of Tonkin Resolution which promised assistance to any South East Asian country under attack from Communists. Tet Offensive 1968 - The Tet Festival was an important Vietnamese holiday, signaling the beginning of the year. On January 1968 VietCong forces poured into Saigon and the surrounding countryside. Over 80 000 Communist troops stormed South Vietnam, catching the North Vietnamese and USA by surprise. They took the US embassy in Saigon. The USA—under General Westmoreland—soon regrouped and inflicted heavy casualties on the North Vietnamese. Estimates vary from 10 000-37 000 were killed. President Johnson began scaling back troop involvement as a result. My Lai 1968 - In March 1968 ‘Charlie’ Company massacred a hamlet at Mai Lai, including women and children. The event was only uncovered in 1969. Led by Lieutenant Barker (overall command) with William Calley and Captain Medina (on the ground). 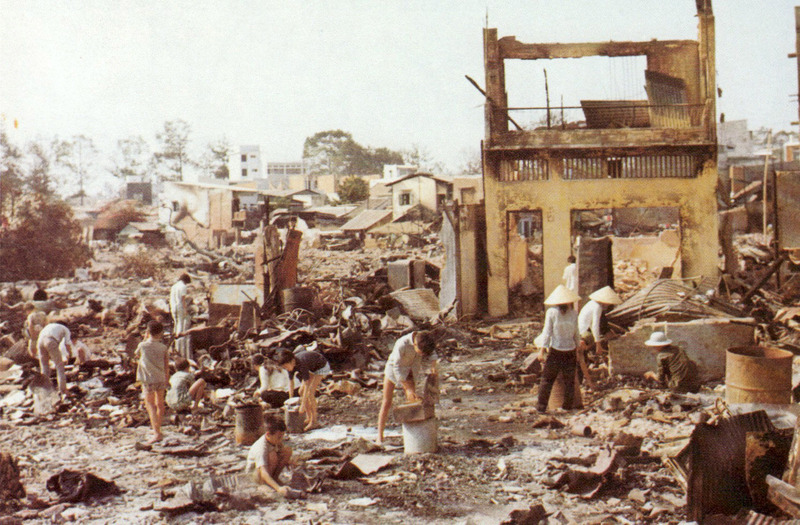 After Tet Offensive, Barker ordered Calley to eradicate all Vietcong—they went into Mai Lai, found only villagers but rounded them up, abused, raped and killed them, before mass burying them. Even animals were slaughtered. Only Officer Hugh Thompson and his crew protested: he flew his helicopter between US troops and Vietnamese civilians, and helped children out of the area. Between 300-500 civilians were murdered. 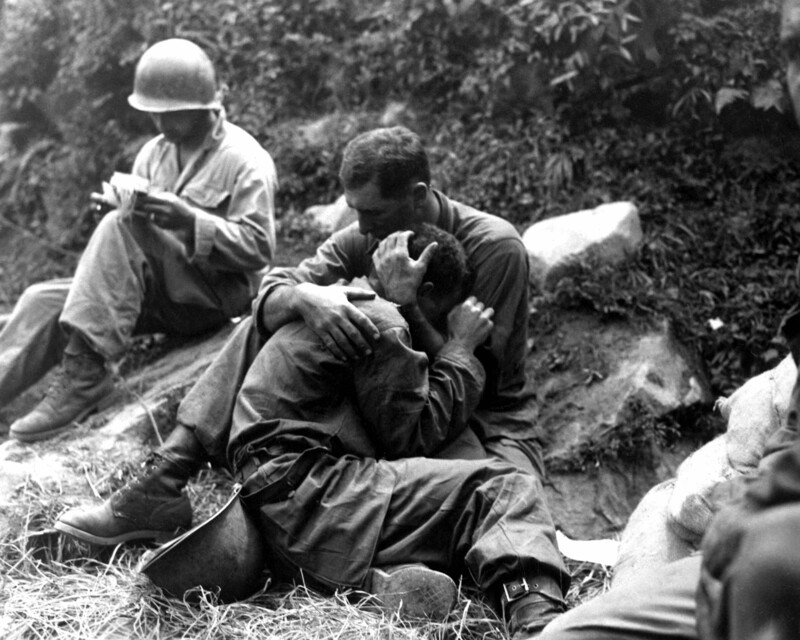 The USA was horrified and the press began to step-up anti-Vietnam sentiments. Only Calley was charged, and even he was let off after 3 years. Nixon Doctrine – this was President Nixon’s way of scaling back and then ending involvement in Vietnam. The idea was that the USA would begin to leave, and train up the South Vietnamese in a process known as ‘Vietnamization’, whilst peace talks would go on. Operation Menu 1969 – this was the secret bombing of Cambodia and Laos by the USA by President Nixon. It was aimed and ensuring Communism was contained only to Vietnam, not the neighbouring countries. Easter Offensive 1972 – this was an enormous attack by the North Vietnamese and Vietcong on the South. Initially it looked as though the South would fall until the USA conducted a large bombing campaign known as Operation Linebacker. Paris Peace Accords 1972 – this was the ceasefire between the two sides. However it didn’t last long; by 1975 Vietnam had totally become Communist. Fear of the Domino Effect / The French had Failed - Eisenhower had stepped in in 1954 after Dien Bien Phu, to support the French because he feared losing Vietnam would mean losing the whole of South East Asia; loss of markets for the USA. China had turned Communist in 1949. 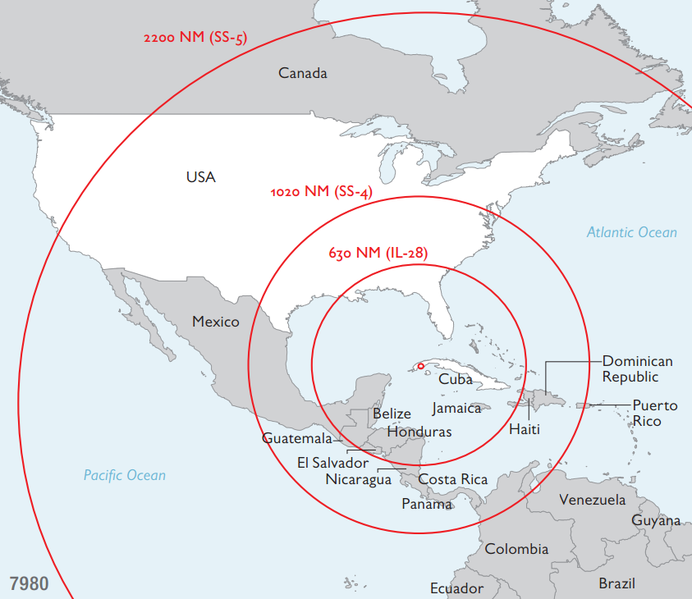 As a bargaining chip in the arms race In 1957 the USSR tested ICBMs capable of carrying an the H bomb from USSR to USA; Vietnam could be used as a valuable missile base in the future: a US Cuba. How was the war in Vietnam fought? Traps (these were to be found around the jungle and in hidden tunnels – built about 240km worth of tunnels!). Wore down US morale. Search and Destroy — tactics based on fast strikes on Viet Cong villages, using helicopters and machine guns. Mai Lai is good example. Westmoreland’s idea. 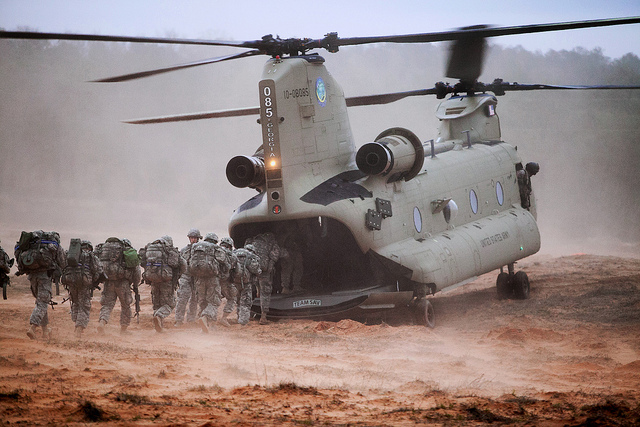 Helicopters — 3,500 helicopters were used for transport and aerial attack. Heavy Bombing - B52 bombers and ‘carpet bombs’ used. 1965 Operation Rolling Thunder: this was to bomb N. Vietnamese factories and cities. More bombs were dropped on N.Vietnam than on Germany and Japan in the entire Second World War. Chemical Weapons - Agent Orange was used. This was a highly toxic weedkiller designed to get rid of the jungle. They used 82million litres of it!! 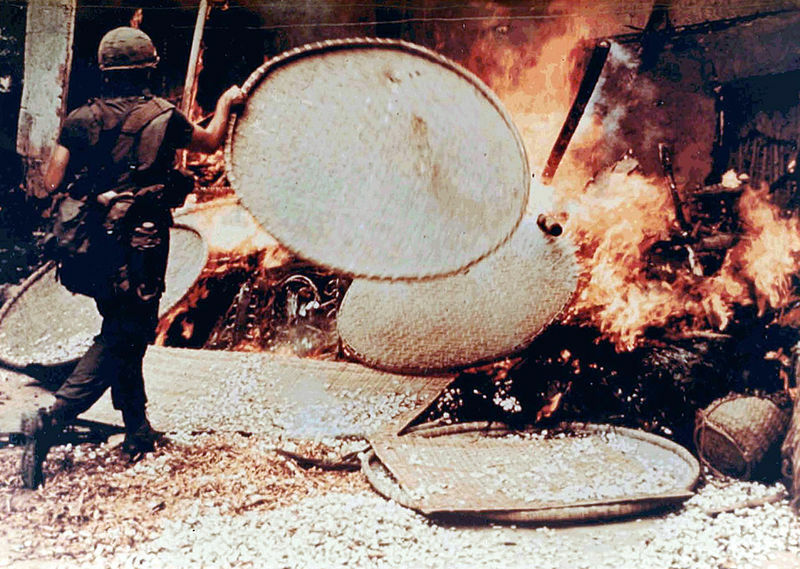 Napalm – produced from jellied petrol – was used in flamethrowers and bombs. It caused extensive and horrific burns. 4. How succesful was the USA's policy of Containment? Ensured USSR kept spending money on arms.